WILLEMSTAD - The investors of the projects Hard Rock Hotel at Pietermaai and Marriott Courtyard in the Rif area have held a presentation to the Ministerial committee. This committee was appointed to work on certain projects that were stuck. 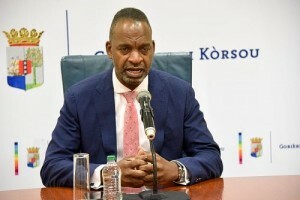 The Minister of Economic Development, Steven Martina said that both groups of investors have indicated that there are certain challenges with the financing of the projects. The government has committed itself to do everything possible to help these projects to become real. This is according to Martina. The government already took care of the necessary permits. The groups must present their plans now to the development bank for financing. After this, the project can continue.